How books and reading can save your life. I think they saved mine. I’ve mentioned this before. In college in the late 1960s there was an upperclassman on campus who stood outside the dining hall with a large bright tin can. He wore, in my pretty-certain memory, a loose white T shirt and light khakis with no crease and sandals. There was a California look about him in his easy clothes which seemed romantic to underclassman-me then who most days wanted to be in California or some place progressive rather than there in South Bend, Indiana. I’d only been to California once, a few years before, the summer Trini Lopez hit it big with ‘If I Had a Hammer’. There was something arresting to me about the way this guy stood with his shiny can and the small sign attached to it that asked for money for the poor people of Bangladesh. He had no guitar or love beads. Just the can. It has stayed with me, that picture of him there. He’s dead now I heard. And I’m 70. There were TV shows then that we all watched. Movies you had to see. There were record albums that you had to have. We all read newspapers from Chicago to see what the progress of the war was in Vietnam. We couldn’t imagine going to war. We put quarters in the juke box and lit another cigarette. And talked about the war, and the songs, and sports. We read Kurt Vonnegut. Professors and priests couldn’t keep up with him or Dylan or Herman Hesse or Portnoy. It was tough to go to class for a lot of us. There was more that mattered in the newspapers in the student center. There was more in the little Seeburg juke box menus on the wall in each booth. There was more in the paperback books we carried in our pockets. It was the books that took me into other worlds, into other ways of seeing things. There were also magazines then that were much more radical than all the periodicals our parents got at home. They were companions to us who didn’t want to fight in a war. Racial issues were also often discussed in bold ways in those books and magazines. Women’s issues too. It was really where a lot of us got our education. I first met Neal not long after my father died…I had just gotten over a serious illness that I won’t bother to talk about except that it really had something to do with my father’s death and my awful feeling that everything was dead. With the coming of Neal there really began for me that part of my life that you could call my life on the road. Today of course there aren’t the books or readers like there were then. On the subway, you still see Kerouac books. On another train you might see Soul on Ice. I don’t know what new books are radical like those were. Are music and TV shows and Netflix movies the radical‘s companions now like books and magazines were and record albums were back then? I’m not fighting for the way it was. I just wonder. I got this nudge from somewhere to make a sign a half a dozen years ago that had this sentence on it: WHY NOT TEACH EVERY SCHOOL KID TO READ WELL. I don’t know where that somewhere was. I had been thinking about city schools and poor kids and the failure of that combination. Especially in reading. I had put out a few copies of acityReader which talked about my frustration over the year-after-year continuation of the reading gap. So maybe the sign was just the natural next step. It was certainly a natural step for a guy who wanted to be like the guy with the can, to have a passion for something like he did. hour every weekday that it isn’t raining or too, too cold in front of Dept of Education building in downtown Manhattan? It could be seven. I wouldn’t change a word on the sign, which is unusual for me. I tinker, I over-think things, I cut my own hair. You watch the Ken Burns Vietnam episodes on PBS and you remember those times when everything was intense. When you argued with your father over the war. When you rushed to take a couple of basic education courses so you could get a provisional teaching certificate and then get a job to teach in an inner city grade school which would give you a deferment from going in the army which you certainly didn’t want to do then since you had a baby daughter who was born the week before you graduated. That daughter is 48 now and has kids of her own, and there are two other daughters and three other grandchildren. And their long-divorced father wanted to text them the other night to tell them to watch the Ken Burns Vietnam series, so that they’d know him and their mother better and maybe excuse him easier. But they have their own shows. Everybody’s got their own shows. Some mornings when I’m walking with my sign in its big Kinko’s bag from the subway to where I stand with it, I catch myself just ambling along not really thinking about what I’m there for. I run a sequence of images quickly through my mind that seem to focus me. The images are in black and white like an old newsreel. They are pictures I’ve seen of poor neighborhoods were hope doesn’t spring eternal. Places where it seems to me the surest way to give hope is to see to it that everybody in those scenes is taught to read well. That seems like a solution to a lot of things. I’m focused then. And I hold the sign like I believe it. Which I do. I believe it more than anything. I believe that it could change the world. These are all our children. We will profit by, or pay for, whatever they become. A young Harvard grad, bred to do well, goes to do good in Arkansas. This book is so well-written. You’re impressed with Harvard and her Taiwanese background and whatever else went onto making Michelle Kuo write so personally and honestly. She pulls no punches about herself or the hardscrabble environment she finds herself in. She takes things seriously. She came to Helena, Arkansas in the Teach for America program. There’s no other way Helena and Michelle would have met. 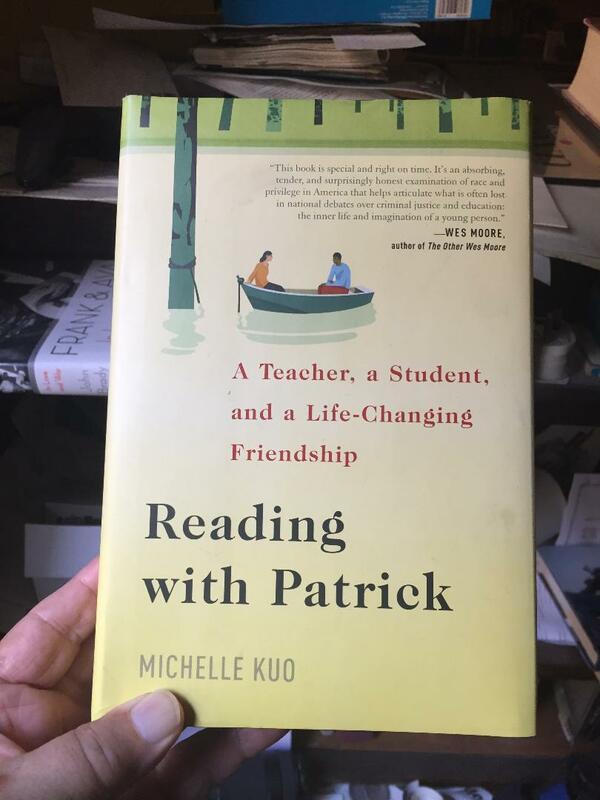 There’s no other way Michelle would have met Patrick, the African-American eighth grader whose life the book comes to focus on. It’s a challenge, this relationship. Michelle’s efforts to do right by him move you. You envy her moral compass. And her ability to tell a story. 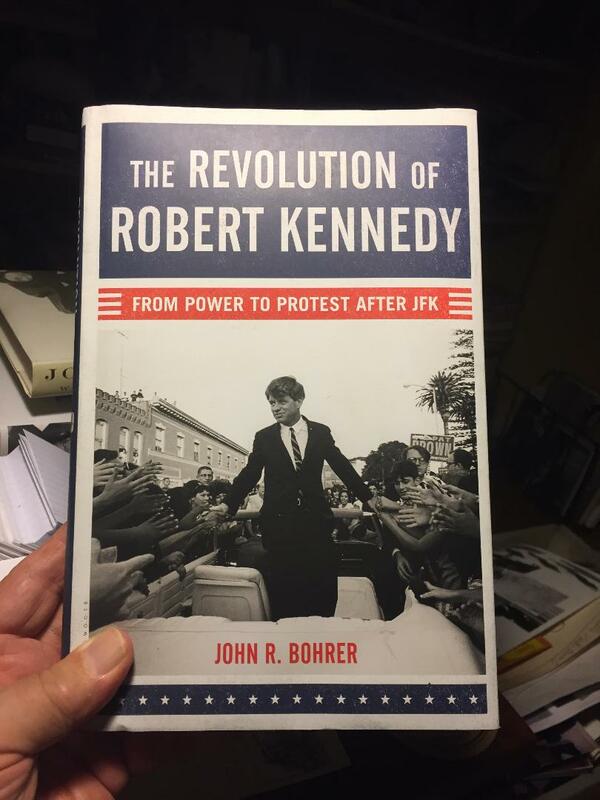 This is quite a book. Your neighborhood library isn’t open then. Crazy as that seems. I’m writing this on a Sunday and it crossed my mind as it has many Sundays, maybe I’ll walk around the corner two blocks from here and go to the library, just to go somewhere between—or instead of-- the NFL games. But alas, the libraries aren’t open here on Sundays. It shocks me every time I realize that. 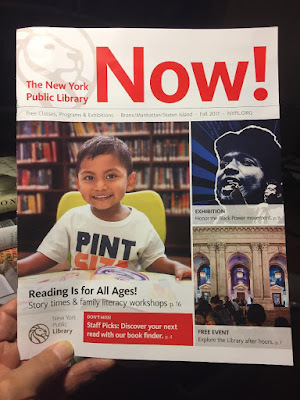 In New York City the libraries aren’t open on Sunday! Let them know you think that’s nuts the next time you go to your neighborhood branch. Make sure you get a library card for yourself and get one for your kids. They’re good places. Even if they aren’t open as often as they are in almost every other place in the country. That’s weird. Isn’t it. A Book for Now. Stimulating to read his words, feel his urgency.